Well, well, well. Well, well, well. Looks like the whole damn world has “cat scratch fever” now (NFL). But where were ya—back in the day????? Where were ya—when Mark Brunell had to become a street preacher at the Jacksonville Landing to pay the rent? Where were ya—when an emaciated Byron Leftwich had to sell out his name to a failed chain of left-handed sandwich shops? Where were ya—when Blaine Gabbert was living in a lean-to in Lake Okeechobee? 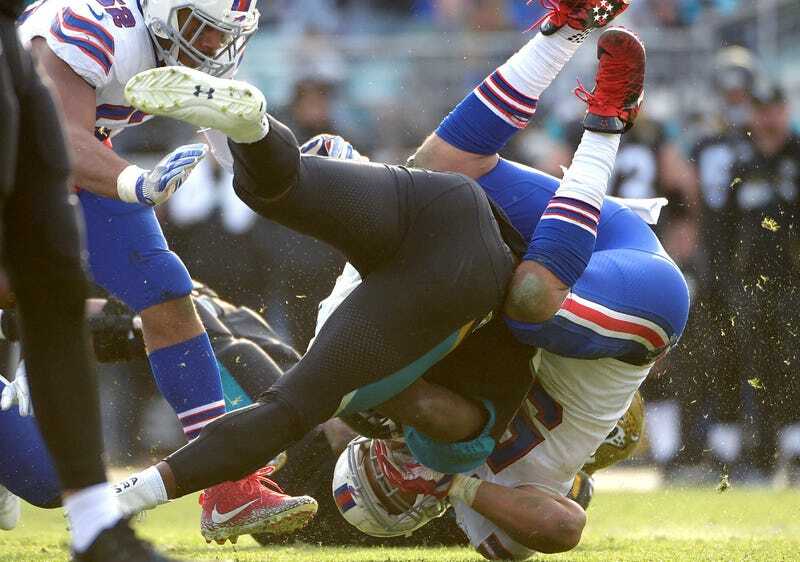 Where were ya—when Chad Henne fell into a shallow mud puddle and drowned? Where were ya—when Timothy Tebow nailed himself to a cross in the parking lot of a Fernandina Beach Steak & Ale because he didn’t know what else to do on a first date? Where were ya—when Blake Bortles was born in a manger of pee? Didn’t see ya around back then. “Jaguars Junction” is an independent source of football analysis unaffiliated with any professional sports franchise.